Columbus, GA - Local business Chattahoochee Home Inspections Co is pleased to offer home inspections, for the selling and buying of homes in the Columbus, GA and surrounding areas within Georgia market, beginning July 3, 2017. 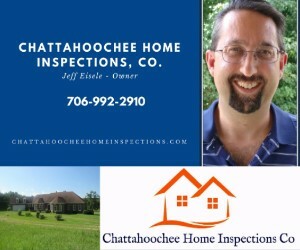 Chattahoochee Home Inspections Co is offering sellers and buyers a chance to get a home inspection for a reasonable price before they complete their real estate transaction. Its customers can expect to get their report within 24 hours, but most of the time it will be the same day as the inspection. The report will be detailed covering the home systems with digital photos to ensure the customer knows exactly what was checked and found. The importance of a home inspection is to ensure they seller or buyer can maximize their home sale or purchase dollars. "We are excited to jump into the Columbus, GA home inspection market. We feel we have the ability to provide the people of this area with an inspection process that makes them feel comfortable with the decisions they are about to make", states owner/operator Jeffrey Eisele. "We provide active duty and veterans of the US Military a great discount to give back to them for all they do for us. This discount also applies to our local police and fire department personnel." Chattahoochee Home Inspections Co was founded on July 3, 2017.